On this page you will find websites that we are linked to and ones that we think that might be of interest to you. All have a brief description has been included to tell you what you will find on the site. Please click on the address of the website to view their information. We hope you find these useful and interesting. Timber and Solid Fuel Cumbria – T G Norman is a family run business that has been established for many years but went limited in 1984. We supply products to both trade and public nationwide. We are a hardwood/softwood sawmill that can cut to any specfication. Firewood Processor – Cord King pioneered the first firewood processor in 1979 and still to this day provide customers with machines and equipment to process timber into firewood with simplicity and ease. friendly fuels. They have established themselves as the premiere log and firewood supplier in Halton. 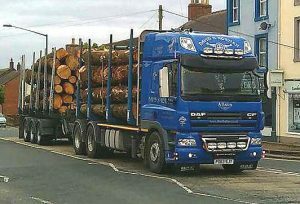 They supply finest quality part-seasoned hardwood logs, softwood, firewood and kindling. They also offer an extremely fast and free delivery service.